Hal gives us some tips on viewing a partial eclipse. This week on Looking Up Hal has some advice for those observers not in the path of totality of the upcoming solar eclipse on August 21st. In other words, what to expect during a partial solar eclipse. We are only a week away from that rare and beautiful astronomical wonder, a solar eclipse. 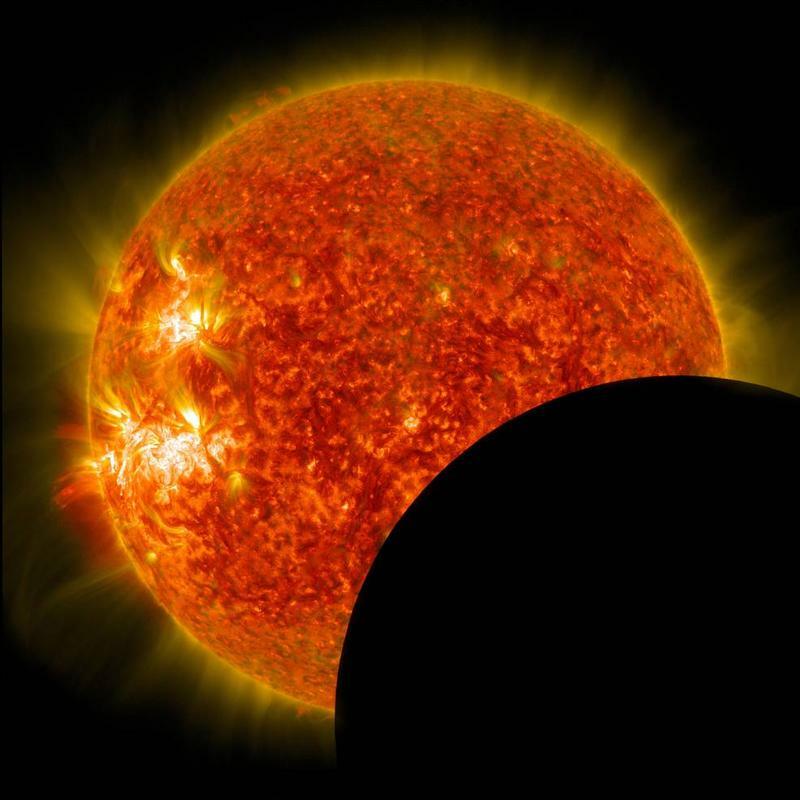 If you’ve decided not to drive up to Wyoming or western Nebraska next Monday, let me give you a couple of tips on how to look at the partial eclipse visible in southern Colorado, and what you are going to see. 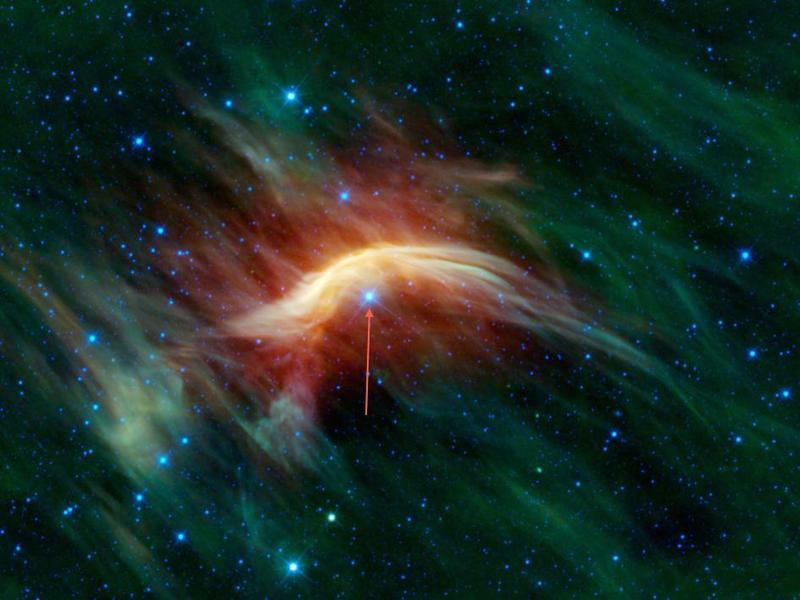 Hal taks about a star located in the tail of the scorpion. This week on Looking Up Hal tells the strange tale of a star located in the tail of the scorpion. Have you ever had that “dead inside” feeling? 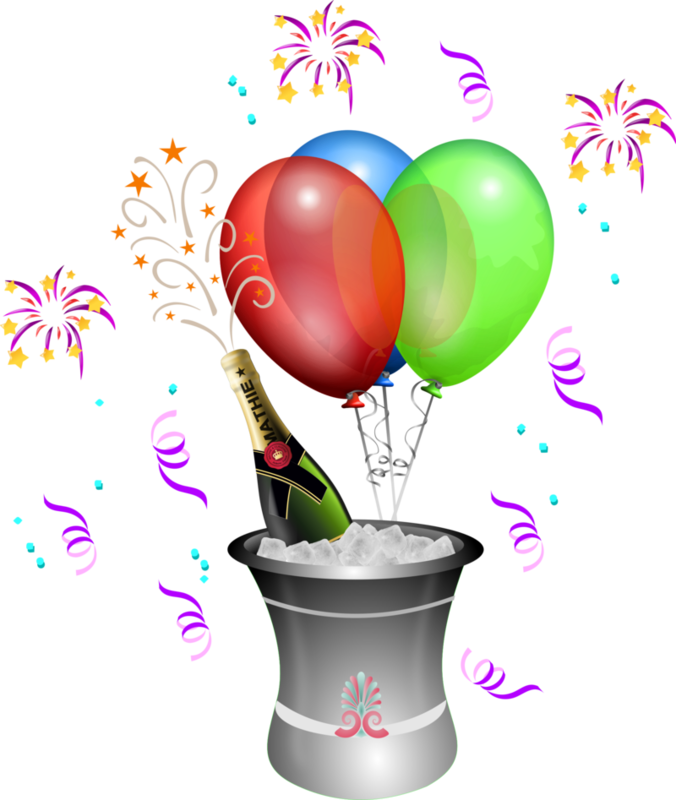 Not too peppy? If so, you may have something in common with the very interesting star, Sargas. Also known as Theta Scorpii, Sargas is the third brightest star in the constellation Scorpius. It is the southern-most star in the constellation, forming the bottom of the scorpion’s tail, just before it curls back up to the north. 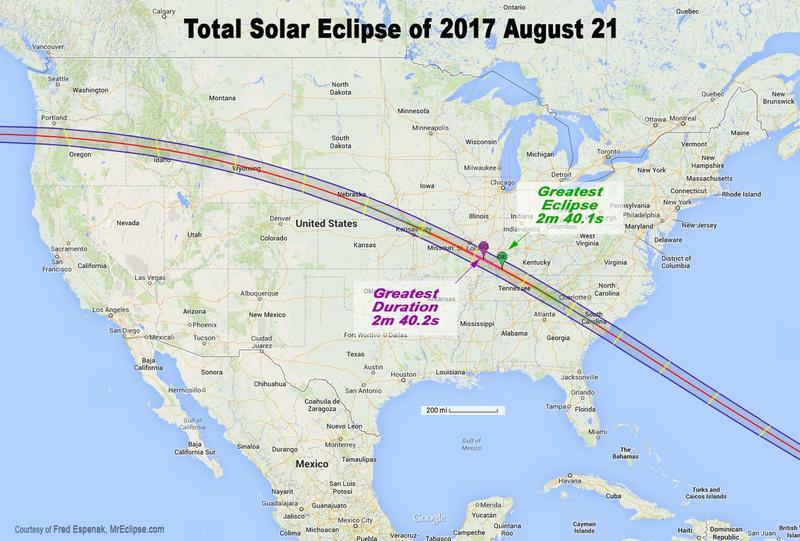 This week on Looking Up Hal advises us on some of the best 'nearby' locations to catch the total solar eclipse on August 21st, 2017. 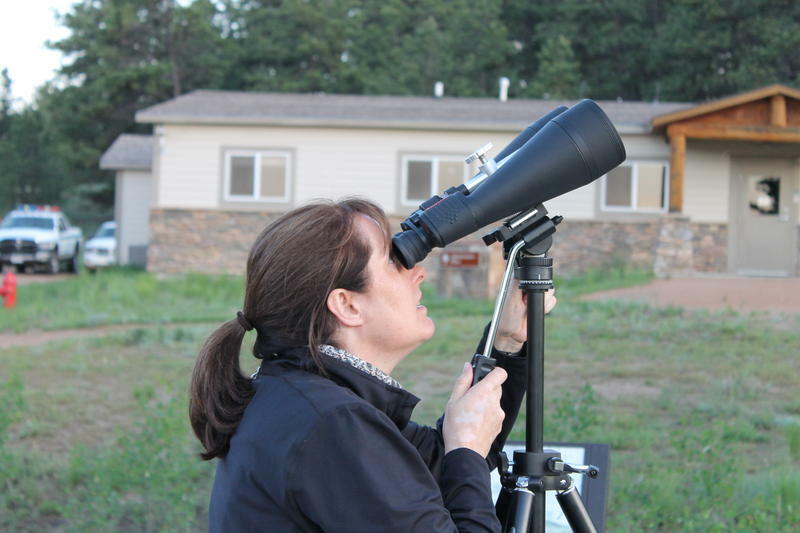 Two weeks ago, in the first of several Looking Up episodes dedicated to the upcoming solar eclipse, I talked about how to safely view the partial eclipse here in Southern Colorado. In today’s episode, I want to urge you to get out of town! In other words, drive a few hours to see this stunning celestial event that most people won’t see in an entire lifetime. This week on Looking Up we go hunting with Hal for one of the tightest and brightest of the open clusters in the sky , the Wild Duck Cluster. It’s Duck Season! If you are a hunter, or watched a certain cartoon growing up, you’ve heard those words before. But I’m not talking about any terrestrial feathered friends, but rather the very remarkable and beautiful Wild Duck Cluster, now soaring in the southern Colorado sky. Hal begins to prep us for the total eclipse this summer. This week on Looking Up we get the first of several episodes that will be dedicated to the total solar eclipse coming in August. One of the most remarkable things that can happen to the skies over the Untied States will take place next month, and so I want to give you a heads up so you can be ready. On the morning of August 21st, a total solar eclipse will sweep across the country! Looking Up: Zeta O' Brother Where Art Thou? This week on Looking Up Hal reveals an 'inconvenient truth'. Can I tell you the dirty little secret of the nonsense known as astrology? Turns out, there are not actually 12 signs of the Zodiac, but rather 13. Yup, the Sun moves through 13 constellations each year, not 12, so astrologers just pretend that the constellation of Ophiuchus doesn’t exist. 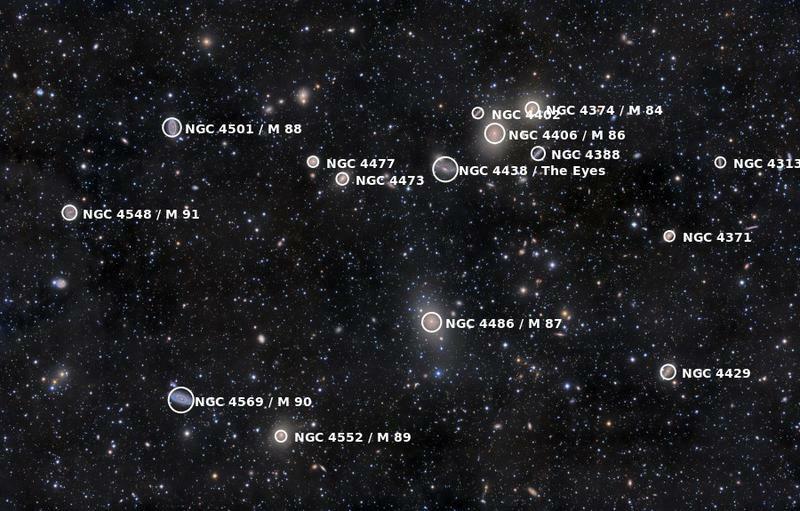 This week on Looking Up we learn the whereabouts of Messier's missing galaxy. 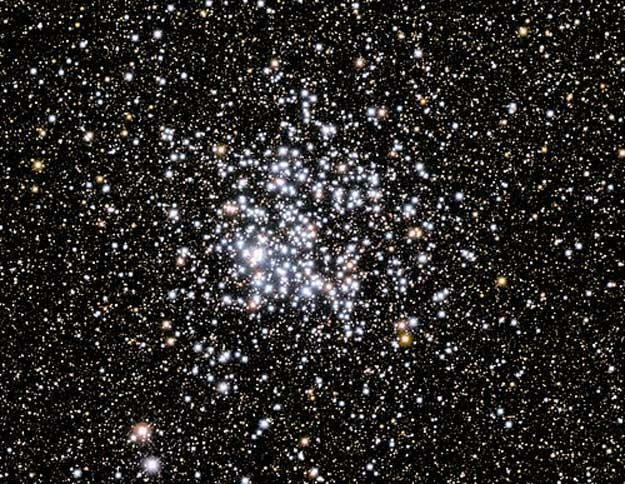 All June we’ve been talking about cool galaxies that are part of the Virgo Super-Cluster, and are visible in Southern Colorado skies right now. Let’s keep up that theme for this last June episode, but let’s add a twist, seemingly taken from the pages of a TV crime drama – the Missing Galaxy of Messier! Hal familiarizes us with a strange galaxy far away. 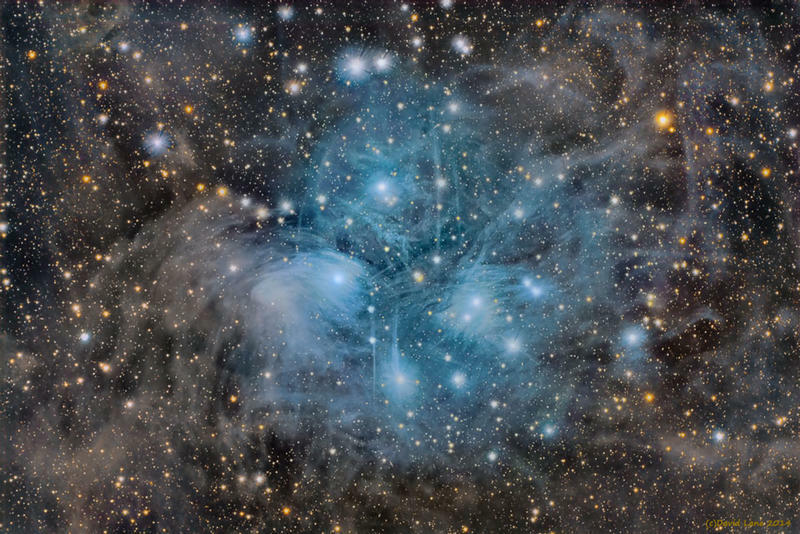 This week on Looking Up we continue our trek through the Virgo Super Cluster of Galaxies. So far in June we’ve talked about a couple of very interesting galaxies visible in the southern Colorado skies. Let’s keep up the trend this week and explore the very pretty, very faint, and very strange galaxy known as Messier object number 98. Hal spirals into this weeks episode of Looking Up about the the very odd Coma Pinwheel galaxy. This week on Looking Up we learn about the “Dark Galaxy VIRGOHI21", located in the constellation Coma Berenices. There is something very strange in the Southern Colorado sky right now – the very odd Coma Pinwheel galaxy. Located in the constellation Coma Berenices, this galaxy is a face-on spiral, but it’s a weird one. 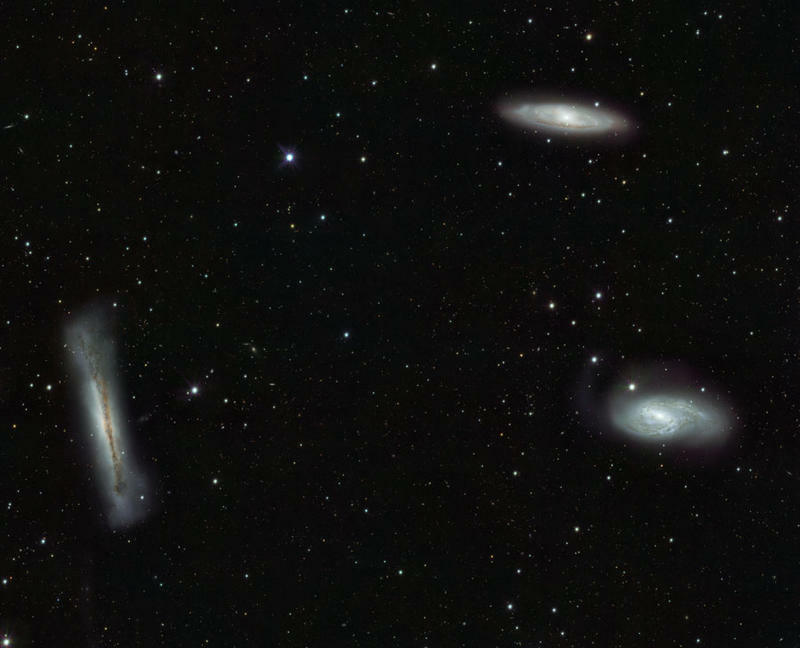 This week on Looking Up we link up with Hal to learn about the Markarian Chain of Galaxies. Some people like to wear chains. Some people like to wear really big chains. 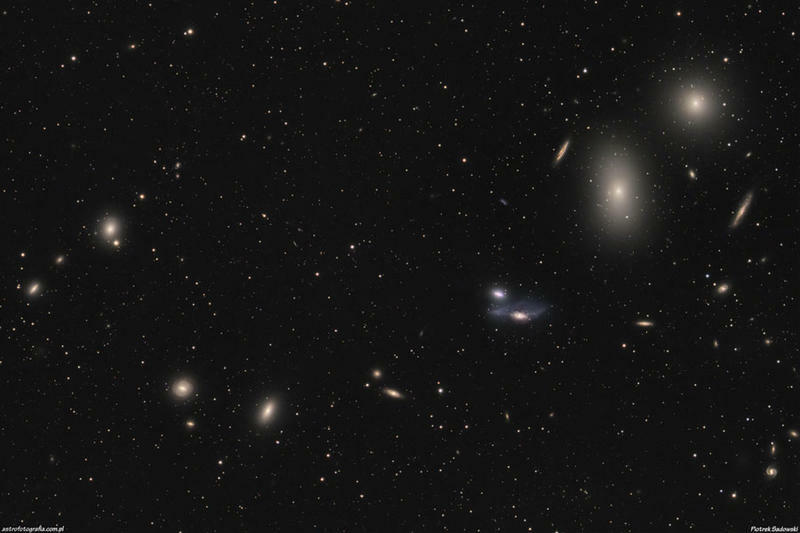 But in the Southern Colorado skies right now, you can see the biggest chain out there – Markarian’s Chain. 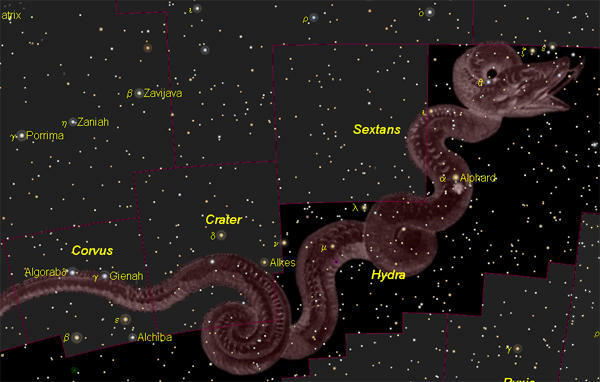 Hal informs us about Hydra, the largest constellation in the night sky. This week on Looking Up we learn the tale of Hydra the snake, the longest constellation in the night sky. If you are keeping up with your action movies these days, you know of the danger posed by the evil organization, Hydra! In the world of Marvel Comics, Hydra is a big deal. Hal expands our universal mind-set. 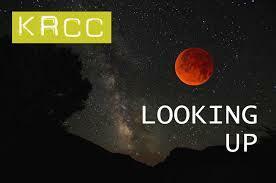 This week on Looking Up Hal gives some perspective on the amount of stars in the sky. One of the challenges in astronomy is getting your brain around some of the really big numbers involved in studying the night sky. Our own galaxy, the Milky Way, contains between 200 and 300 billion stars. That huge number may be easier to visualize when I tell you there are more stars in the Milky Way than there are grains of sand on all the beaches and deserts on Earth. 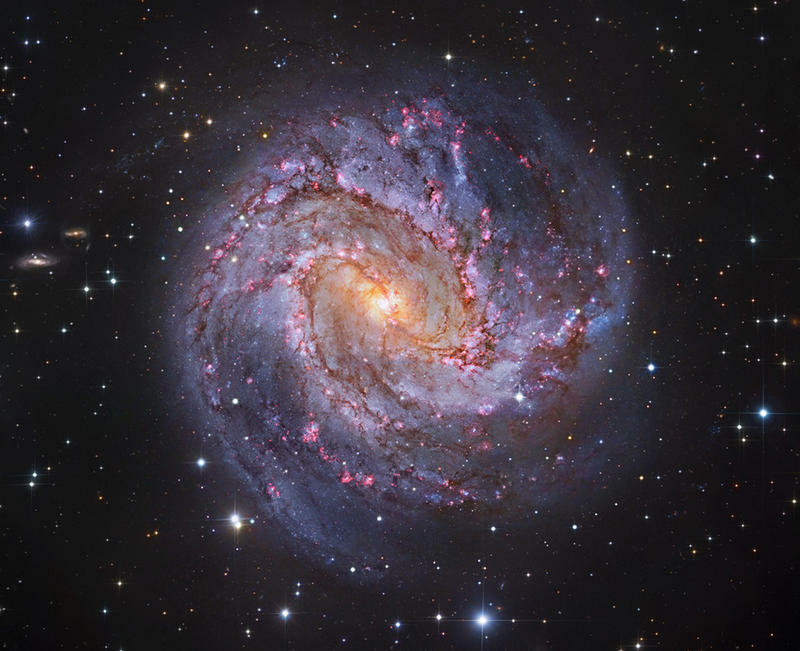 Hal describes M83, the first galaxy beyond our local group of galaxies to be discovered. This week on Looking Up we get face to face with M83, a beautiful galaxy , also known as the Southern Pinwheel Galaxy. If you have a clear view to the south, you may just be able to catch a glimpse of a remarkable object in the southern Colorado sky – the Southern Pinwheel Galaxy! 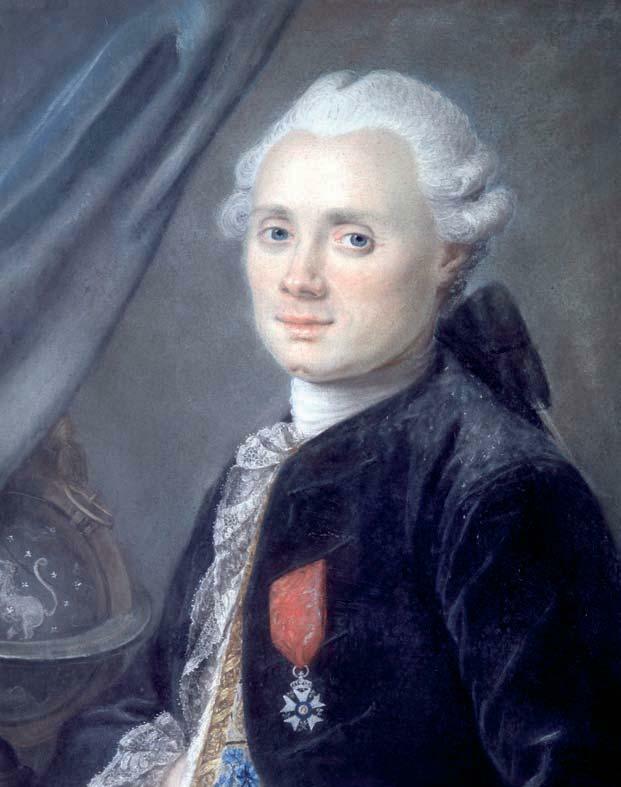 This very cool object was first recorded in 1752, and Charles Messier added it to his famous catalogue of celestial objects, as M83, in 1781. This spiral galaxy, which we see face on, is special because of its beauty but also because of some very cool science associated with it. This week on Looking Up Hal takes us on a trip to a galactic triplet. If you are a baseball fan, you likely are very excited by triple plays. If you love burgers, a triple with everything sounds delicious. But if you are interested in looking up this spring, you can see the biggest triple out there – the Leo triple galaxy cluster! Hal crows about the crater good of a lesser constellation. This week on Looking Up Hal makes a toast at the Cup & Crow. If you thought days on earth went by fast, listen to Hal talking about a typical day on Jupiter. 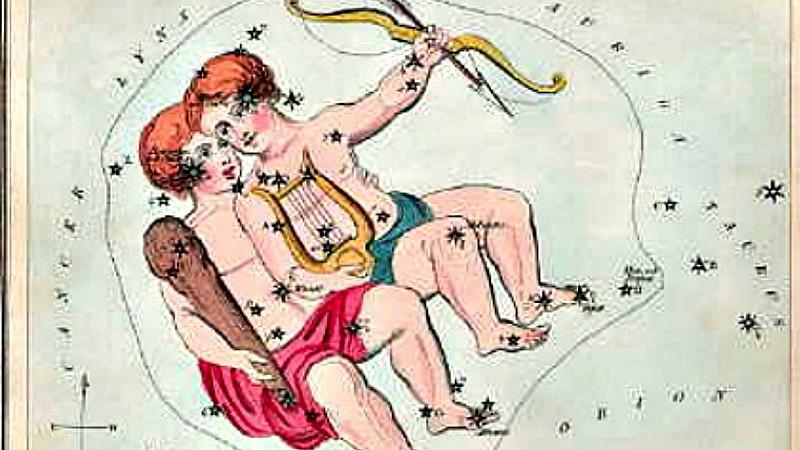 This week on Looking Up we hear about the king of planets heralding the arrival of spring. Spring is here, and the stars that mark the warmer months are starting to appear in the southern Colorado Sky. But wait, what is that super bright star, rising in the east? To paraphrase the movie, that’s no Star! It’s Jupiter, making a bright and beautiful return to the night sky, after hiding in the daytime skies for the winter. Hal's better half explains how two eyes are better than one. This week on Looking Up Dana Bidlack regales us with her wide appreciation of the night sky. Over the past two years, you’ve heard my husband Hal go on and on about the amazing things in the night sky that you can see through a telescope. But I’m here to tell you that you don’t need a fancy telescope or any expensive equipment to enjoy a star party or even just an evening in the back yard. An inexpensive pair of binoculars will reveal hundreds of wondrous objects, from the comfort of a lawn chair. This week on Looking Up Hal reminds us that Polaris is not always the North Star. 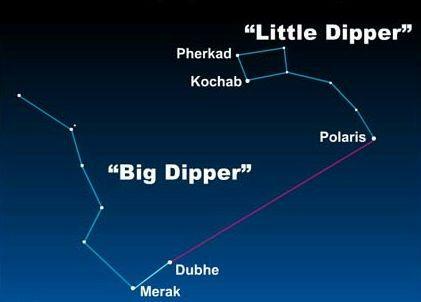 Chances are, if there is anything you know about navigating around the night sky, it is that you can use the front two stars of the Big Dipper to find Polaris, the North Star. In the pre-GPS world, lots of navigation, from sailing ships to aircraft to even spacecraft, relied on celestial navigation to find their way home. 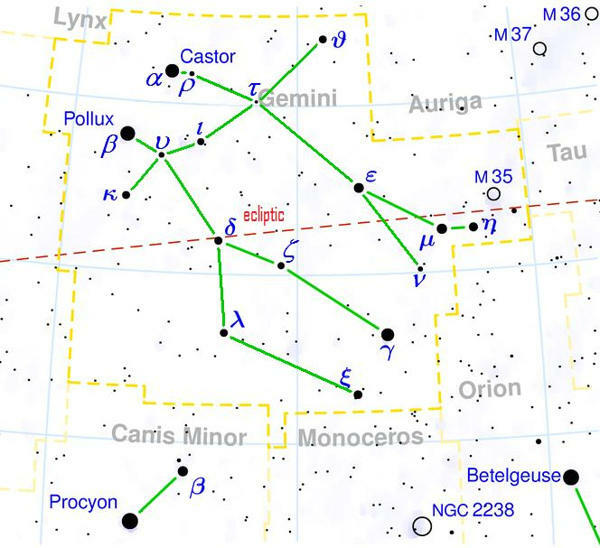 And, for about the last 1500 years or so, Polaris has been the star everyone used. But did you know that this was not always the case? This description of the Spindle Galaxy might leave you feeling a bit edgy. 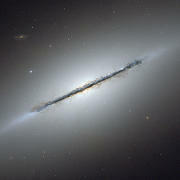 This week Hal spins a tale about the Spindle Galaxy, affectionately known as NGC 5866. 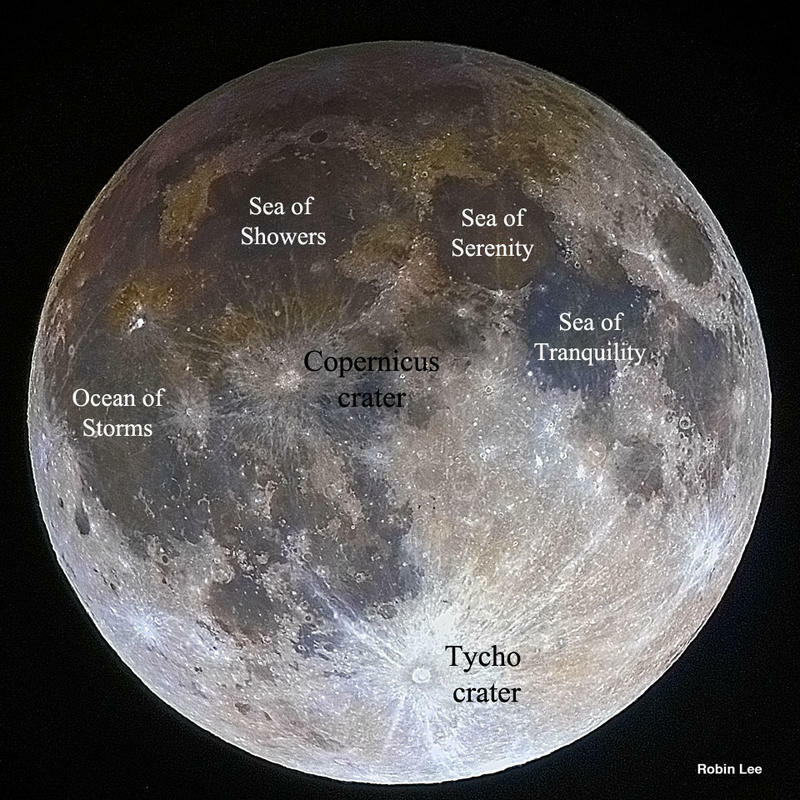 Most things in the sky have scientific names. 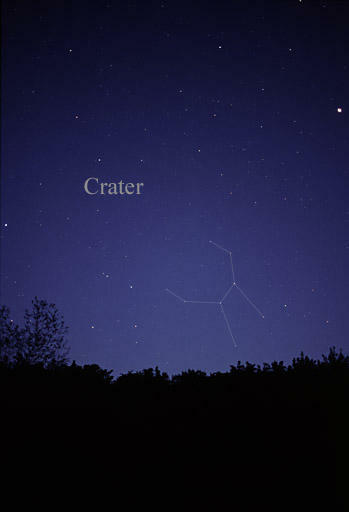 But sometimes we also name things because of what they look like, like the Big Dipper. And if you are under 50 years old, you may be forgiven for asking what the heck the Spindle Galaxy is named after. Hal is seeing red in this description of the Garnet Star. 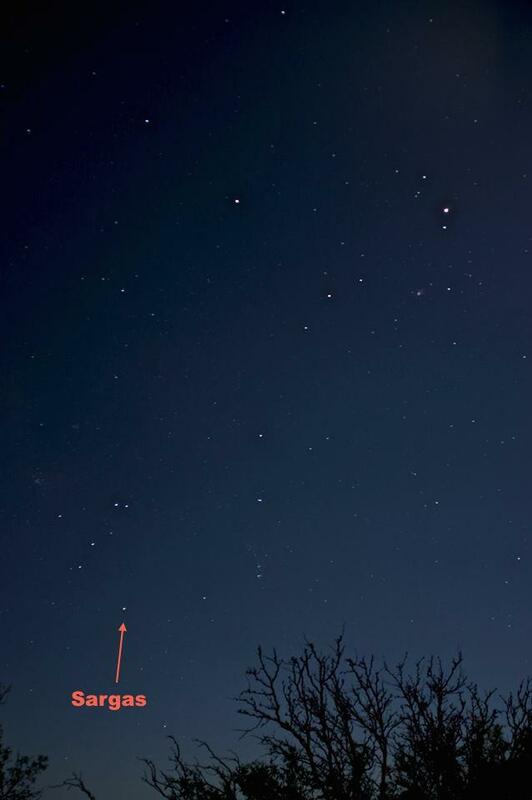 This week on Looking Up we find out about one of the biggest, reddest stars up in the northern sky - the Garnet Star. When you look at the wonderful night sky in Colorado, nearly every star looks like a tiny diamond of white light. But there are a handful of stars that have a different color. 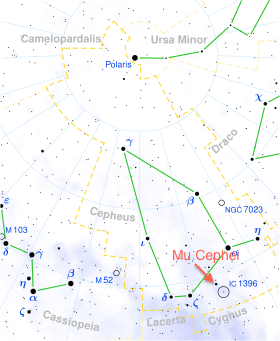 And in the northern night sky we can see just about the reddest star out there, Mu Cephei, commonly known as the Garnet Star! Hal gives directions to the planet Uranus with a helpful trick of the trade. This week on Looking Up Hal takes us planet hopping. 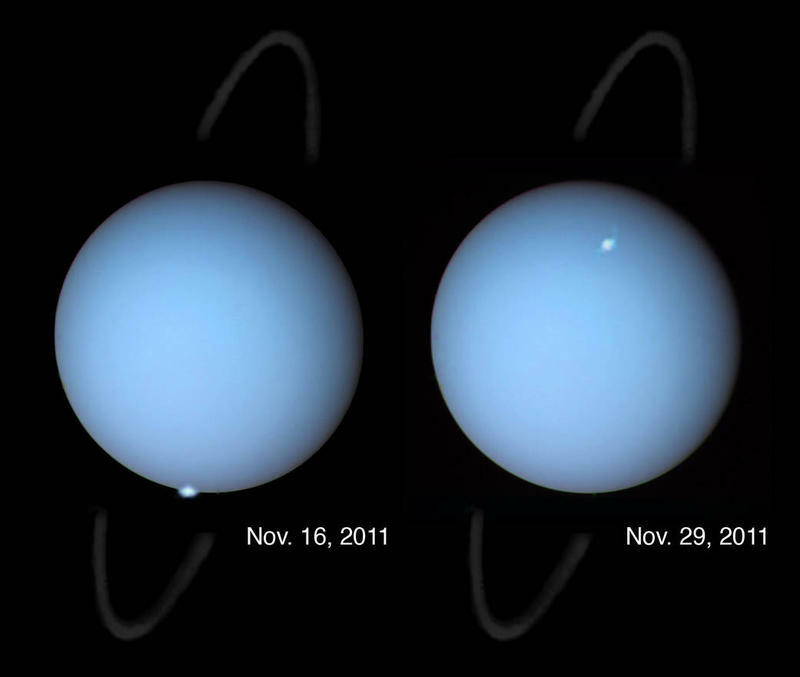 The final destination will be the planet Uranus. Some things in the southern Colorado sky are very easy to spot – the moon, super-bright Venus and pretty bright Mars. But other things are much harder to spot, especially when city lights make viewing harder. So today I want to tell you about a little trick you can use this week to find one of the more difficult to spot items, the planet Uranus, using the much brighter and easier to spot planet Mars, in the early evening sky. Looking Up: Show Your Work! Hal divulges his trade secrets. This week on Looking Up Hal comes clean, astronomically speaking. If you’ve listened to every episode of Looking Up since we started two years ago, either over the airwaves or online, or now by downloading episodes as podcasts on iTunes, you’ve listened to over 100 segments on aspects of astronomy ranging from interesting stars to giant clouds of glowing gas, to how ancient people looked up, to distant galaxies. And you may have asked yourself, how the heck does this Bidlack guy know all this stuff? Hal speaks on a 'dark' subject. This week on Looking Up Hal puts the moon in a different 'light'. Can we talk about a dark subject? One that is lurking in the shadows? Because on the night of Friday, February 10th something very unusual and a little dark will rise in the east – the Moon! 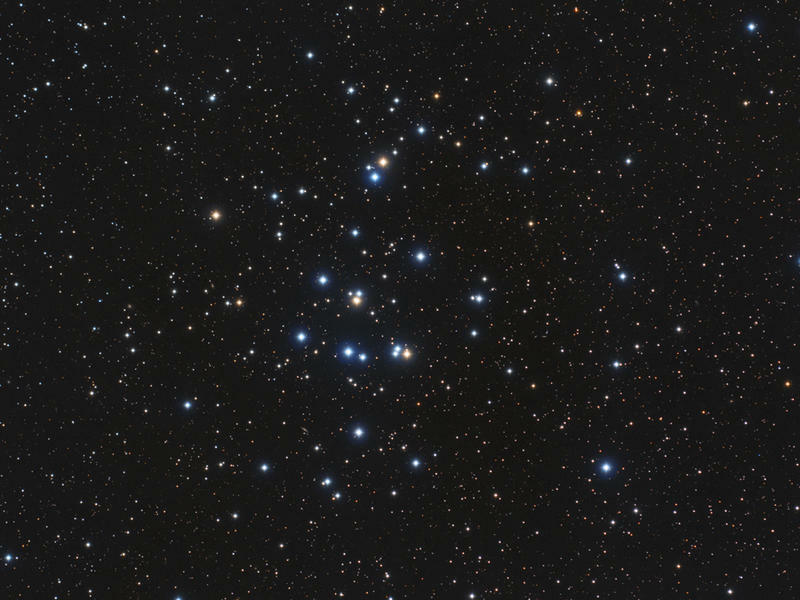 Hal bedazzles us with information about an open cluster known as the Beehive. This week on Looking Up Hal shares the beeswax on the Beehive Cluster. Ever wonder what’s the buzz about what’s up in the southern Colorado sky right now? 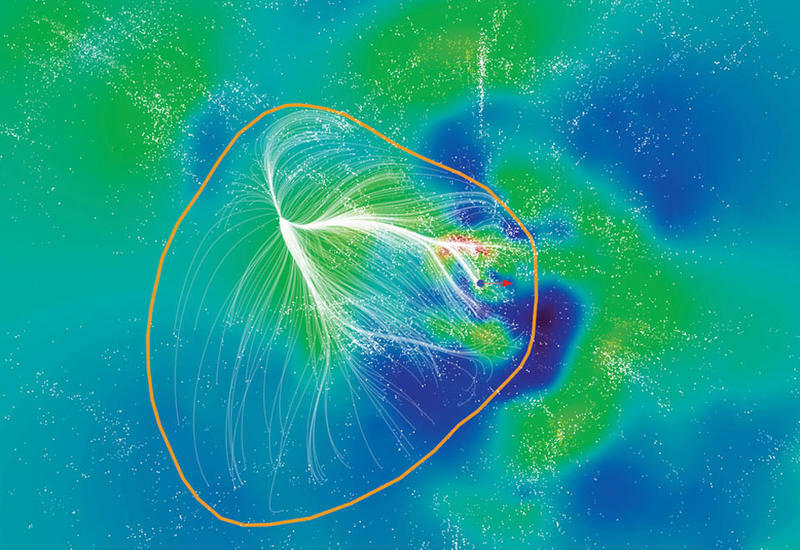 Well, part of it could be coming from a stellar apiologist -- the Beehive Cluster. Bruce Bookout explains how the ancients viewed Orion. 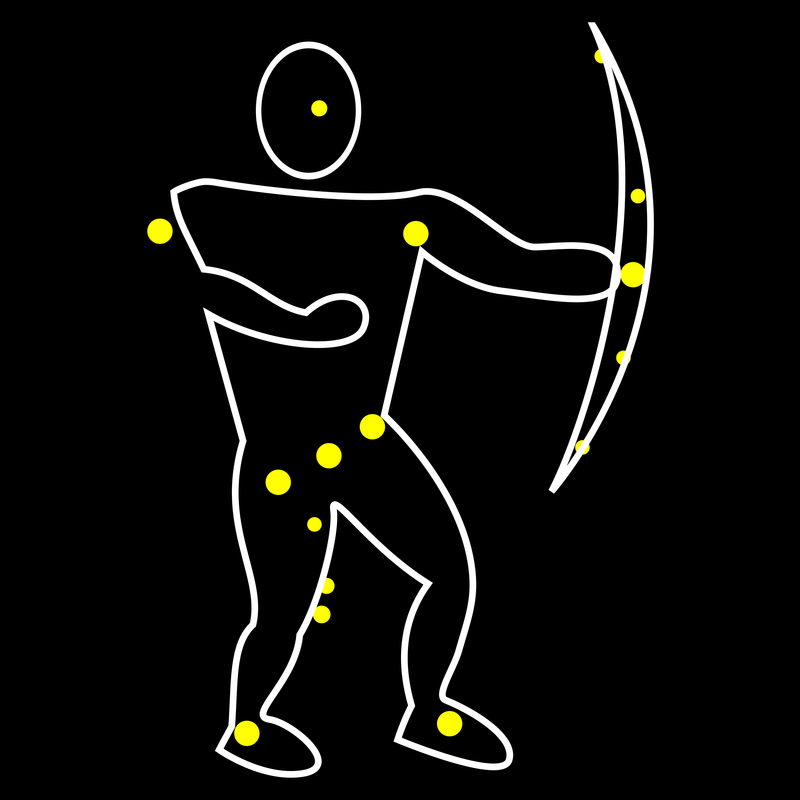 This week on Looking Up guest host Bruce Bookout presents this month's archeo-astronomy lesson on Orion. Rising high in the winter skies of southern Colorado is the great hunter of the sky - Orion. Look after sunset to the east for three bright stars in a row surrounded by a rectangle of four other bright stars. Let’s hunt through the world on Orion’s legend. Hal shoots the poop on Asmidiske, a star in the constellation Puppis. This week on Looking Up Hal remarks on a remarkable star - Asmidiske, in the constellation Puppis. It’s nice to have a roof over your head, especially when you are sailing across the ocean. And did you know that there is a constellation in southern Colorado skies right now that represents the roof of the back end of the ship. You’ve heard it referred to before, even as you giggled at the name – poop deck.